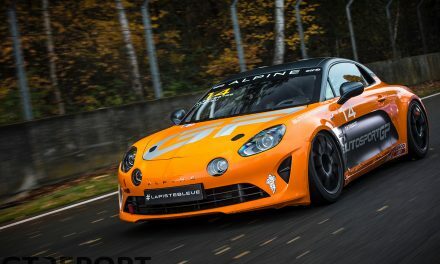 It was a busy winter for the Capricorn Nürburgring GmbH. After Nissan’s horror crash in March 2015 the company found itself forced to make a series of safety changes to the Nordschleife. The most prominent of these was made to the segment between Quiddelbacher Höhe and Flugplatz, which was stripped of its asphalt, levelled, and then repaved to stop cars from taking off. 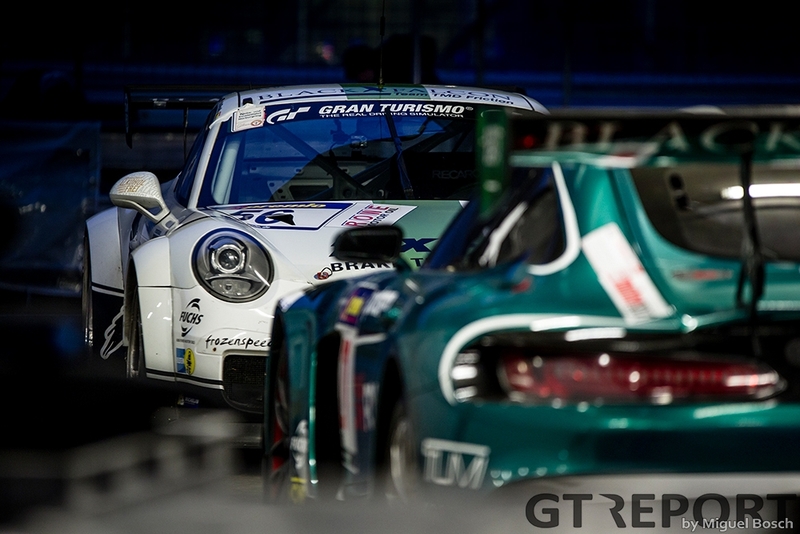 A week after the circuit was officially reopened, the 2016 VLN grid flocked towards the Ring for the series’ annual pre-season test. The test was strongly affected by the weather. 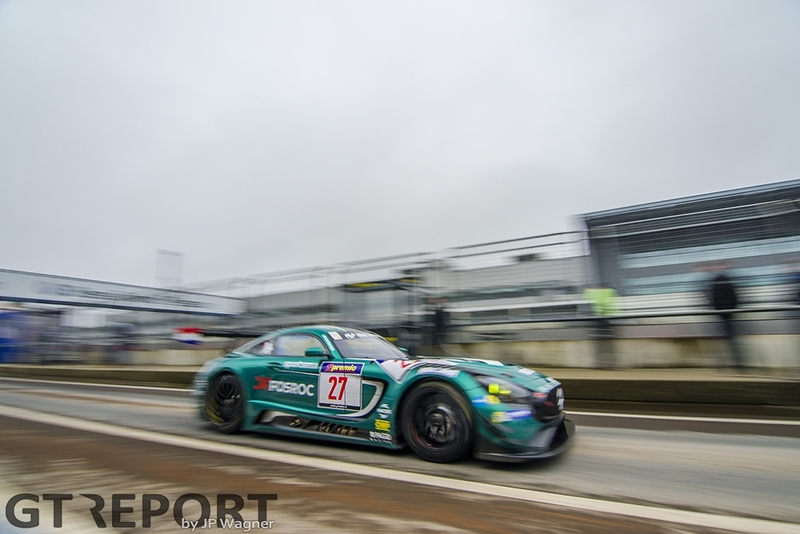 On Friday the teams were greeted by sunshine, but on Saturday the Nürburgring presented them with a chilly 3 degrees Celsius, overcast skies, and a steady morning drizzle that made the track very slippery. 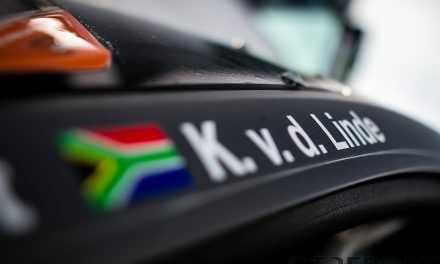 During the early hours of the day many drivers reported back a lack of grip, particularly on the Nordschleife where many also encountered dirt left behind by the reconstruction works. These conditions in combination with a 2-hour-long code red around noon and another shorter one around 14:30h meant that most teams decided to use their track time for reconnaissance runs instead of performance testing. 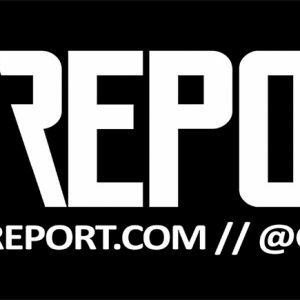 Black Falcon wasn’t the only team to bring new equipment. 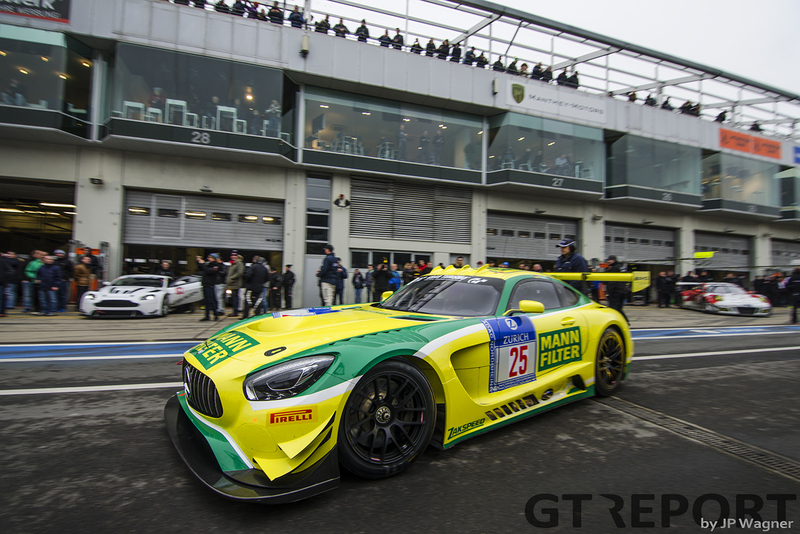 Zakspeed premiered its yellow-green Mann-Filter Mercedes-AMG GT3, a car identical to Black Falcon’s chargers although not factory supported, while Schubert Motorsport showed up with the latest model BMW M6 GT3. Rowe Racing also reported for duty with an M6. 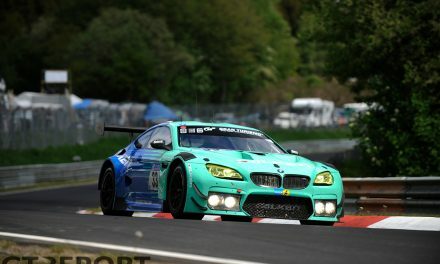 For the St. Ingbert-based crew it was one of their first major test outings since dropping Mercedes for BMW. 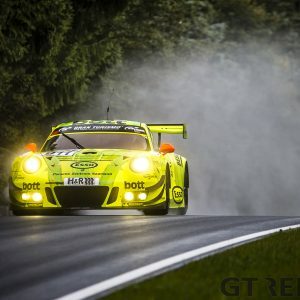 Frikadelli Racing, meanwhile, brought its new Porsche 911 GT3R to the Nordschleife. 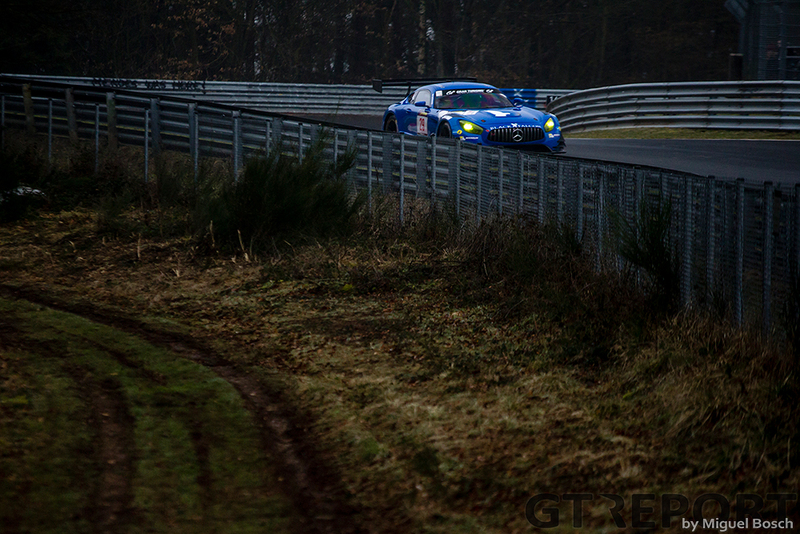 The crew already raced the car in the Daytona 24 hours, but were still short on data around the VLN’s home track. 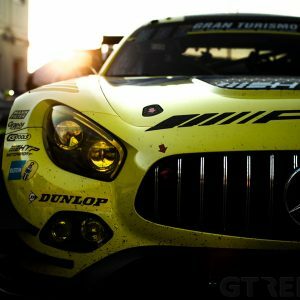 The VLN season opener will take place on 2 April with the 62. ADAC Westfalenfahrt.